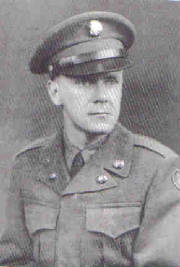 Lawrence J. Quirk as an Army Sergeant during the Korean War (1950 - 1953). 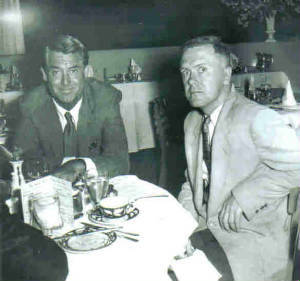 Partying with Cary Grant at the Harwyn Club in New York, 1957. 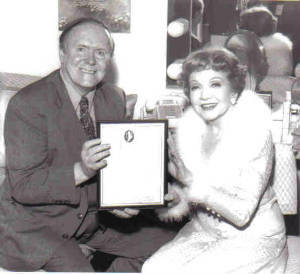 In Claudette Colbert's Broadway dressing room for Aren't We All? in 1985. 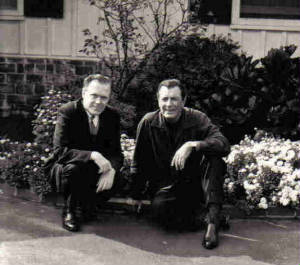 Larry and Bob Taylor at Taylor's Mandeville Canyon ranch in October 1966. 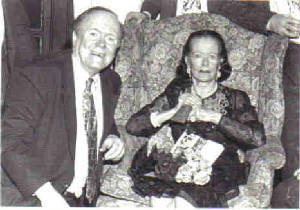 Larry and Joan Bennett at the James R. Quirk awards (she was the main winner) hosted by Larry and William Schoell at the Roosevelt Townhouse in Manhattan in the 90's. Bennett passed away only a few days later. 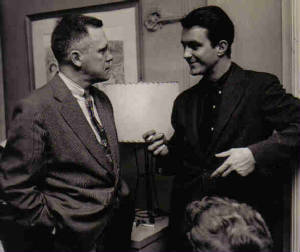 In 1957 Cliff Robertson (P. T. 109) helped Larry celebrate his first fan magazine editorship at a party in Manhattan. 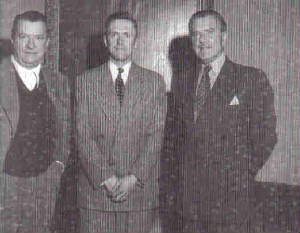 Larry at the Lambs Club in New York in 1953 with silent film actor Bert Lytell (mustache) and stage and screen star William Gaxton. 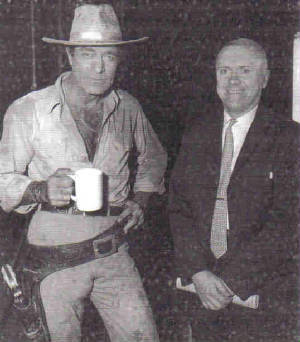 Larry Quirk as a young reporter taking New York, Boston, and Hollywood by storm. 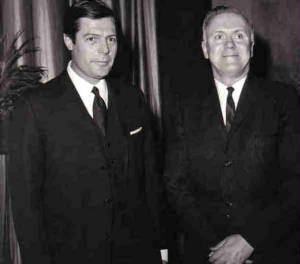 With the great Italian actor at a party in New York in 1965. 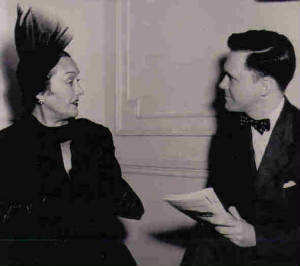 Larry with La Swanson in Boston in 1949. 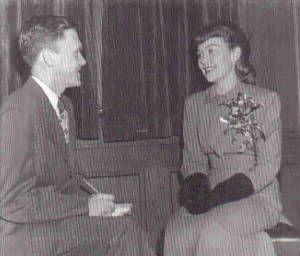 Larry interviews Jane Wyman when she did a publicity tour for her film Johnny Belinda in 1948. 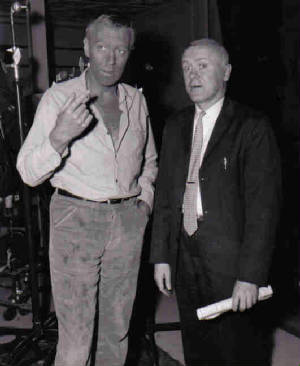 Larry Quirk visits with The Exorcist's Max von Sydow on a movie set in Hollywood in 1964. 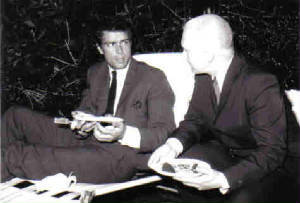 Larry visits with Gilbert Roland on a Hollywood movie set in 1964. Roland had begun his career in silent pictures. 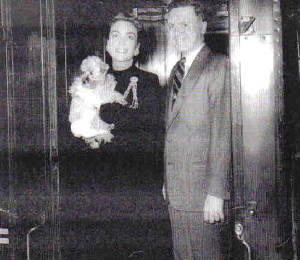 Larry greets Joan Crawford at Penn Station in New York in 1956. Larry on a national book tour for his tome The Kennedys in Hollywood in 1996; here at a book signing in Los Angeles. 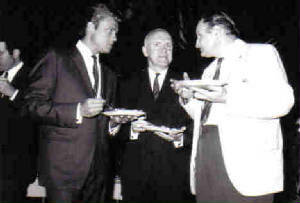 A Hollywood party of 1964 given for Larry Quirk. 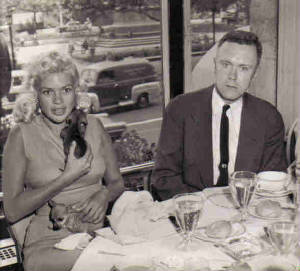 John Ericson starred with Elizabeth Taylor in Rhapsody and appeared in many other films and in TV's Honey West. Al Lewis is most famous as "Grampa" of The Munsters, now seen on TVLand. And don't forget our sister site, Quirk's Reviews, which is entirely devoted to classic films and film stars. Click here to go directly to the site: http://quirksreviews.tripod.com. Entire contents copyrighted 2004 - 2005 by William Schoell and Lawrence J. Quirk, except for items written by other authors, in which case said authors retain the copyright of their work . Opinions expressed by individual authors and reviewers are not necessarily the opinions of High and Low NY.